Jade Empire, the Xbox-exclusive RPG BioWare released in 2005, is "a franchise that's near and dear to us," BioWare's founders said at Eurogamer Expo today. " It's a setting that we're really passionate about, and we still are." But Ray Muzyka and Greg Zeschuk don't have immediate plans to bring back the series. "We're just looking for the right way to deploy it," Muzyka said. A Jade Empire sequel was rumored when it showed up in a developer's resume online earlier this year. 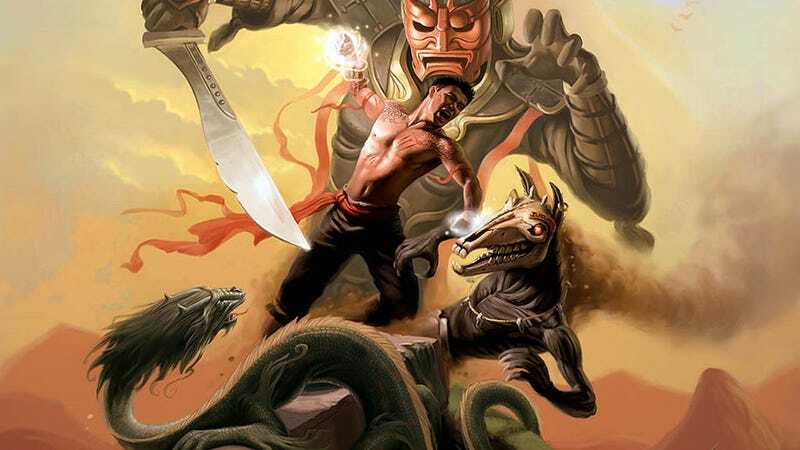 Could We Have Gotten A Second Jade Empire Game? Eurogamer notes that Muzyka's status as lord high overseer of role-playing games for Electronic Arts means he's administering a back catalog with Jade Empire and other intellectual properties, complicating decisions on what to resurrect and when. Jade Empire reviewed very well, with negative marks for features that you'd be unlikely to see in a current-generation role-playing game. It's available as an Xbox Live Original, playable on the Xbox 360.